Nokia 8.1 with SD710 and Android Pie goes official! Home / mobile / news / nokia / Nokia 8.1 with SD710 and Android Pie goes official! 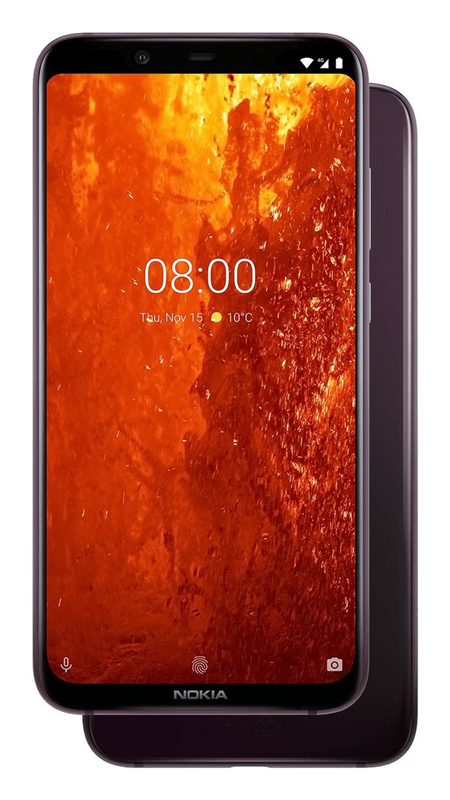 Right on schedule, HMD Global announced the Nokia 8.1. It's the global variant of the China exclusive Nokia X7. Unsurprisingly, you will see a lot of similarities between the X7 and the new Nokia 8.1. It still goes with the sturdy anodized metal frame, shiny glass back cover, and the 6.18-inch IPS LCD PureDisplay with FHD+ resolution. Under the hood, the specs are the same as well. It goes with the 2.2GHz 64-bit Snapdragon 710 octa-core processor with Adreno 616 GPU. It also has 4GB RAM, 64GB storage, and 3,500mAh of battery capacity with 18W fast charging. For its optics, you'll find a 12MP Sony IMX363 sensor with OIS for stabilization and a 13MP secondary camera. In front, there's a 20MP sensor for selfies. It also has a fingerprint reader at the back, WiFi, 4G LTE, Bluetooth, GPS, and dual SIM slots. It boots with the Android One version of Android Pie out of the box with guaranteed 2 years of OS updates and security updates for 3 years. The Nokia 8.1 comes in blue, silver, steel, copper and iron/steel color options. It will be available globally from December 20, 2018. It is priced at EUR 399 or around PHP 23.9K. Let's just hope that they will bring this here in the Philippines too!